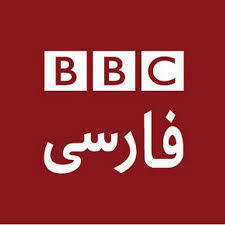 BBC Persian TV online live service is broadcast by satellite and is also available online. Another news channel from iran like Press TV iran live online streaming. Programmes cover a variety of subjects including current affairs, documentaries, culture, science, business and the arts. BBC Persian Television (Persian: تلویزیون فارسی بی‌بی‌سی‎) Founded at January 14, 2009. The channel is the BBC’s Persian language news channel that was launched on 14 January 2009. Its owned by British Broadcasting Corporation (BBC) Network. BBC Persian is an online news channel from England. The used language is Persian. The service can be accessed through satellite television, and is aimed at the 100 million Persian speakers in Iran, Afghanistan, Uzbekistan and Tajikistan. The Foreign and Commonwealth Office of the Britain funds the channel with a budget of over £15 million. The Persian service has on a couple of times blamed to be inciting the propaganda and conspiring against the Iranian government and revolutionarily guards. However the greatly exaggerated offensive stance against the channel denounced and sought out as suspected on a number of times by the state is still rolling and progressing despite controversies and accusations. BBC Persian TV has been working closely with the BBC’s Arabic TV service to broadcast extensive rolling news from Egypt including many live crosses, and it is believed that it is the impact of this coverage which has prompted the jamming which began on the evening of Thursday 10 February.